Mohegan Sun, the Connecticut gambling giant, has agreed to join the Suffolk Downs casino bid in Revere thereby filling the void left when Suffolk Downs dropped Caesars Entertainment from the bid last month. 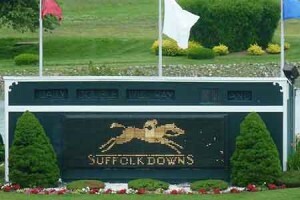 After breaking its partnership with Caesars, Suffolk Down racetrack has formed a new deal with gambling giant Mohegan Sun. Officials for the two companies agreed on terms of the deal earlier this week after a period of intense negotiations. The partnership came about as both parties were seeking a second chance to win a Massachusetts resort casino license. Earlier this month Suffolk Downs suffered a blow when voters in East Boston rejected the racetrack’s $1 billion gambling resort proposal. However, voters in Revere endorsed the project and Suffolk Downs officials are now trying to move the entire project to within Revere city limits. However, it is not known if Revere’s vote will count as an endorsement of a revised Revere-only project. The partnership with Mohegan Sun brings a well-known name to the project and more importantly, a firm that already has approval from the gambling commission. The gambling commission approved the company after conducting extensive background checks. This will prove invaluable to Suffolk Downs as it broke its partnership with Caesars over fears that the company would fail the background check.